Founding band/soul mates Jen and Rob Slocumb met in 1996 with a twist of fate inside a Houston, Texas, coffee shop where Jen worked booking bands. Rob was home to see his parents after a music venture fizzled. It started as a simple bond over music. Time led them to realize it was something much more. The two fell in love and were married. And all of it is part of a dream that is still in the works. A dream that Jen and Rob keep on dreaming. The duo now lives in Auburn, AL. Not exactly where they pictured themselves, but they wouldn’t give it up. Jen, from Ontario, Canada, and Rob, from Nashville, TN, are sure they’re where they are supposed to be. Everything the couple has done has been in pursuit of a musical dream, one that, so far, has paid off. Martha’s Trouble completed the “At Your House” concert tour in the fall of 2011, which saw them performing house concerts across the East Coast, Southeast U.S. and Southern Ontario. The House Concert Tour caught the attention of Billboard Magazine, and the duo was featured in their November issue in a story entitled: “House Band: Martha's Trouble Makes Itself at (Fans') Home(s).” Martha’s Trouble was invited to the Billboard offices in NYC to perform three songs for the Billboard Studio Sessions which was released on YouTube. In 2016, Jen and Rob bought a historical home (built in 1907) in Downtown Opelika, Alabama and converted it into The Sound Wall, a multi-purpose creative space featuring a state of the art recording studio, a chefs kitchen, and artist residence. “A Little Heart Like You” received national acclaim in the top parenting blogs and zines, such as, Parents.com, Pregnant Chicken, Lay Baby Lay, Natural Child, MOPS International, AOL Music, and Billboard Magazine. 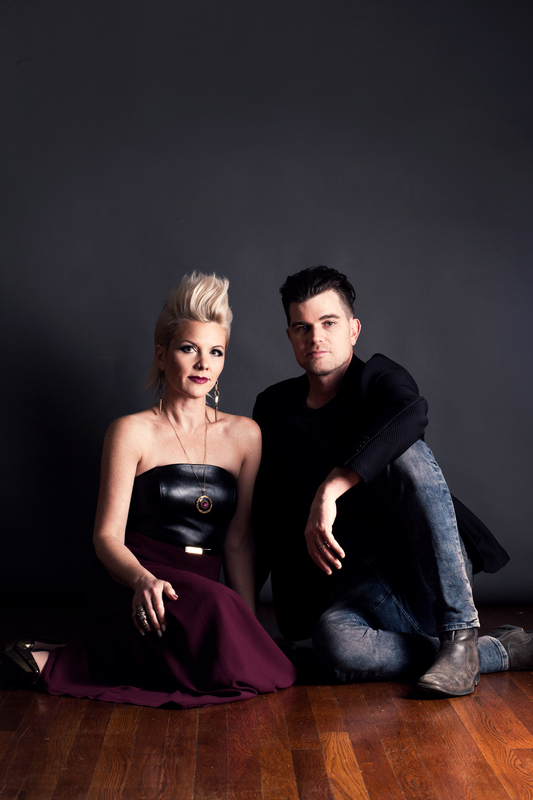 Following a tragic event that rocked the little sleepy town of Ancaster, Ontario (Jen’s hometown), the duo penned the song “A Prayer For A Broken Heart” from their home in Alabama. They dedicated the song to the widow of Tim Bosma (Sharlene Bosma), whom they’d never met. Tim Bosma, age 32 from Ancaster, Ont. was senselessly murdered after giving a test drive for the truck he was selling online. Tim Bosma went missing after he took two strangers out for a test drive after posting his Dodge Ram pickup truck for sale online in May 2013. Bosma had just said goodnight to his daughter and told his wife he'd be right back. She would never see him again. An agonizing search for him lasted 8 days until police announced Bosma’s remains had been found. The song Jen and Rob wrote when they heard the story caught the attention of the Bosma family and the news media across Ontario, which led to Martha’s Trouble performing a memorial concert at the Burlington Botanical Gardens in Burlington, ON. All proceeds from the digital download of “A Prayer For A Broken Heart” are given to TimsTribute.ca.